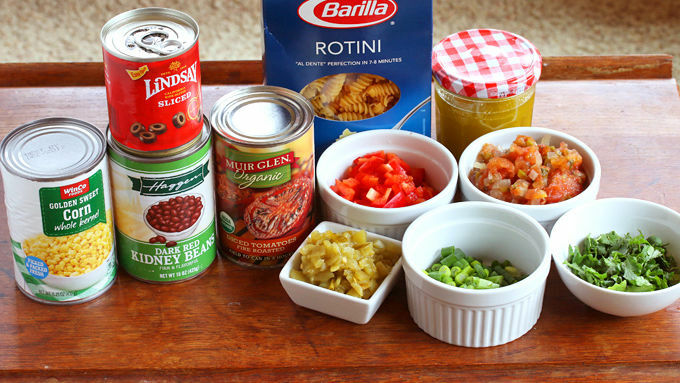 While the pasta is hot, combine all ingredients in large bowl. 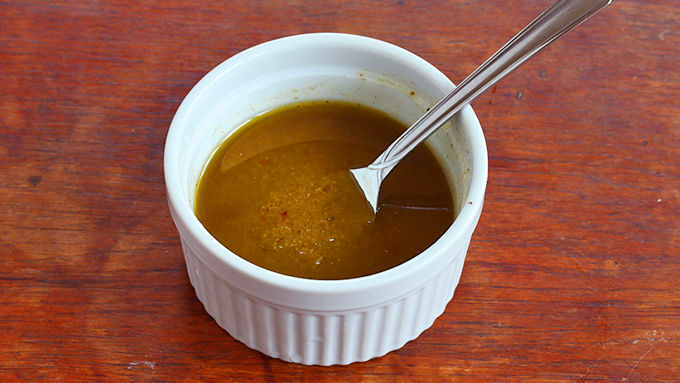 Serve immediately warm or at room temperature. This pasta is also excellent served cold. Refrigerate for at least an hour before serving for best flavor results. 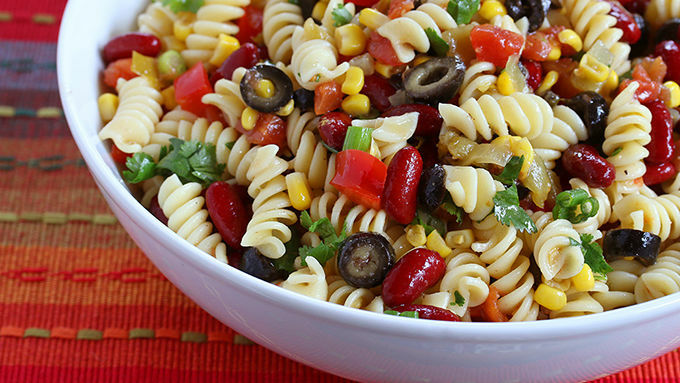 A colorful pasta salad with plenty of bold Mexican flavor. Could this salad be any easier? 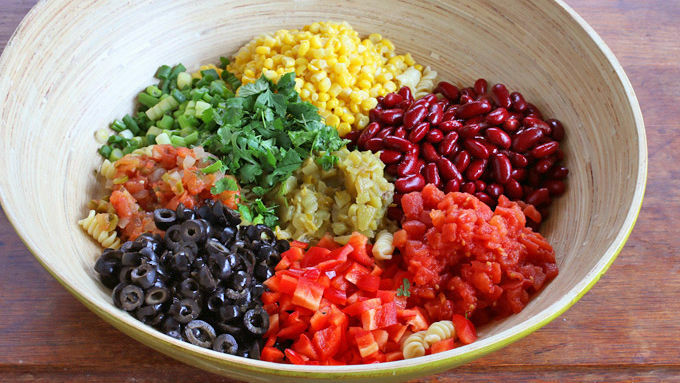 Toss it all in a big bowl and done! A big part of what makes a dish enjoyable is its appearance. You can probably think of some examples of dishes that taste fantastic but just look downright awful (think “slow cooker”). And of course it goes both ways – food can also look gorgeous but lack flavor and taste boring. So ideally, you have both: A dish that tastes good and looks good. 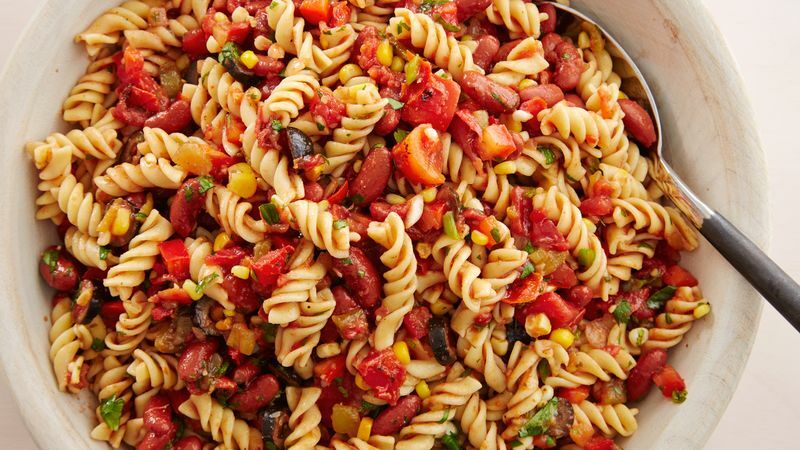 It’s hard to go wrong with this Spicy Mexican Pasta Salad because not only is it packed with a lot of flavor, it’s so colorful and vibrant it makes you want to call your friends over for a fiesta right then and there. Or go outside and barbecue or take it on a picnic! 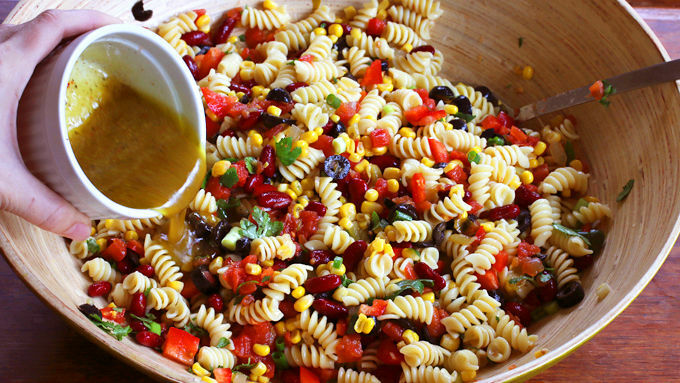 The best part about this pasta salad is it’s so quick and easy to put together. And if you serve it cold, you can even make it a day in advance.